Inertial measurement units (IMUs) are to be used to develop high definition maps for autonomous driving to avoid the mapping problems caused by bad weather or the loss of satellite navigation. High definition maps are necessary to deliver accurate, real-time information to safely guide an autonomous vehicle to its destination. When creating those maps, poor weather conditions, or when a satellite navigation signal is lost, mean a reduction in accuracy and definition. Two years old, Momenta, an autonomous driving and big data company based in Beijing and Suzhou, China, develops the deep learning artificial intelligence needed for autonomous vehicles. It is to use Analog Devices Inc’s (ADI) IMUS for this robust mapping process. Analog Devices has more than 30 years of experience in micro-electro mechanical systems (MEMS) IMU inertial sensor design. ADI is a technology company that solves engineering challenges using digital technologies. ADI’s IMUs exceed the value, performance ratio of higher cost alternative sensors based on fibre optic gyro or laser gyro technologies, the company says. The IMUs will be used to improve the mapping system setup and technology upgrades in Momenta’s L3 freeway ramp-to-ramp solution and L4 full autonomy driving solutions. Analog Devices has more than 30 years of experience in MEMS inertial sensor design. ADI’s MEMS IMUs have been used for avionics and smart agriculture sectors where the requirements are similar to those needed for autonomous driving. Analog Devices explains that its MEMS IMUs are capable of maintaining critical specifications such as bias, sensitivity, and cross-axis sensitivity under all conditions, including time variation, shock, vibration, and temperature conditions. A panel of experts, including ADI’s VP of Autonomous Transportation & Safety, Chris Jacobs, discuss the barriers that must be overcome to make autonomous driving a reality. Momenta uses crowdsourced images of locations to help build its high definition maps which are vision-based. 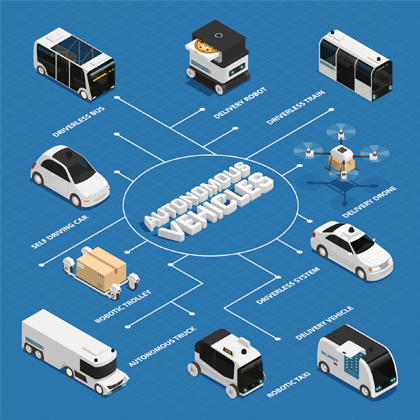 Momenta is able to leverage modules mounted on taxis, trucks and buses at a large scale to create a crowdsourcing map for autonomous vehicles. The Chinese firm views crowdsourcing as a powerful tool for Asian countries maps where infrastructure is changing rapidly in these developing economies.